Anyone who has begun the task of constructing an affiliate website understands that the first steps are the easiest. It takes virtually no time at all to sign up for select affiliate programs and put together a decent-looking website, but that’s where the easy part ends and the hard work begins. There are literally millions of affiliate websites out there that range in quality from total failures to six-figure revenue streams. 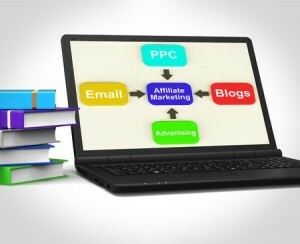 What exactly are the successful affiliate websites doing correctly? In the following article, we will discuss a few ways in which you can ensure your affiliate website is compliant and positively viewed by Google and other search engines. Many affiliate webmasters make the mistake of relying solely upon search engines to drive traffic to their websites. Not only is this a bad idea from the perspective of a diversified content marketing strategy, but search engines also look favorably upon websites with a variety of social signals. Even if some search engines do not translate these social signals into direct SEO benefit, you will still enjoy a broader array of traffic – essential for any budding affiliate website. As your influence throughout social media and alternate websites grow, so will your customer base and your potential for improving SEO. Sometimes, you may end up focusing too much on pinging your website to remember that there are other important elements to accentuate. Websites that strive to gain attention usually do – you just want to make sure that the attention is good attention and not bad attention. One great way to do this is through the creation of content that aims to inform about your website, products and services. Many affiliate websites choose to issue press releases, which can then be picked up by other blogs and social media sources that are amenable to their interests. If your affiliate website is outdated or not consistently updated, then search engines will frown upon this. In the world of SEO, it is a well-known fact that many search engines will view older websites less favorably than newer websites that have fresh content being published on a regular basis. If you are not pinging your website with a new piece of content every week or so, you may find your search engine rankings to be mediocre at best. While most affiliate websites focus on selling particular products and services, the most successful ones include blogs and other sections where valuable information can be procured. It is from here that you can distribute new content and improve the overall rankings of your affiliate website. The first steps into affiliate sales can be tricky, but having a comprehensive strategy can make the process easier. Those who use free and open platforms to disseminate information about their site, utilize social media and other forms of personal communication to expand their reach and continue to produce valuable content will attract a variety of new customers to their websites – all the while strengthening their site’s SEO performance.